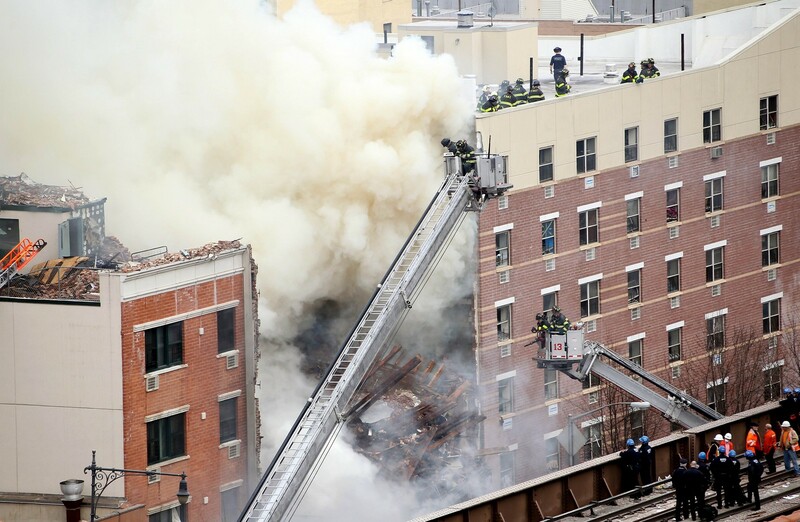 New York City firefighters respond to a five-alarm fire and building collapse at 1646 Park Ave in the Harlem neighborhood of Manhattan March 12, 2014 in New York City. 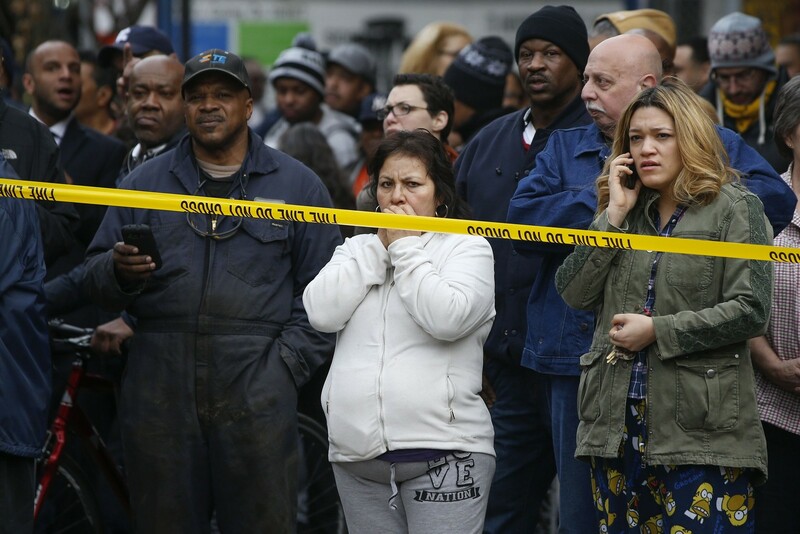 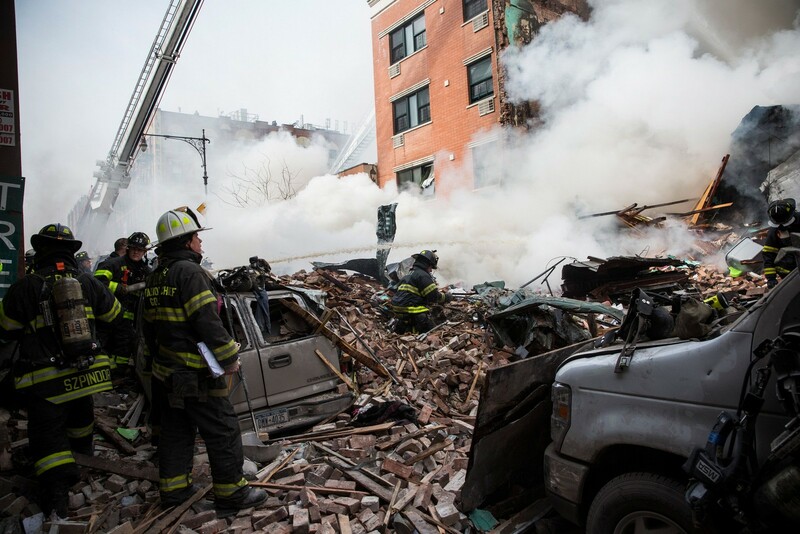 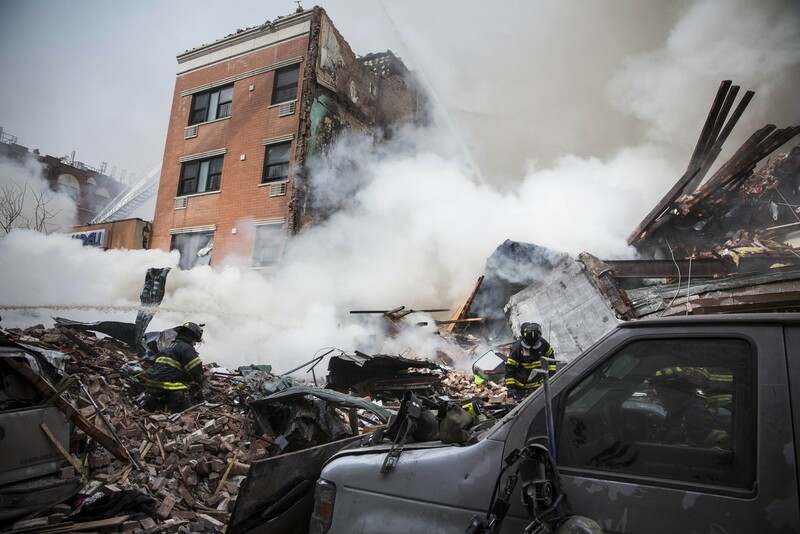 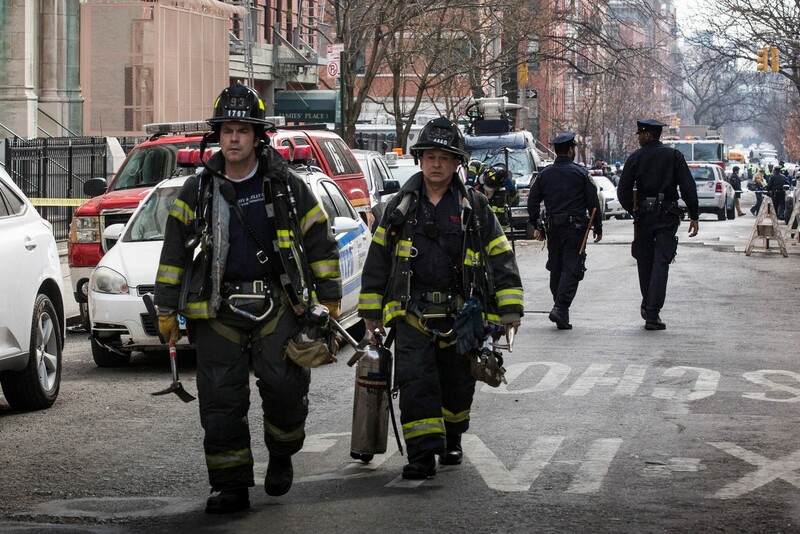 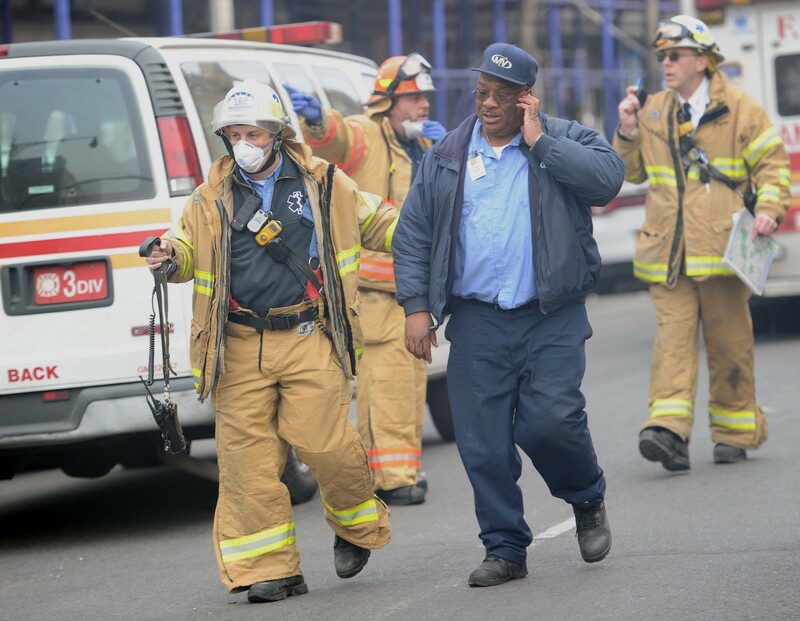 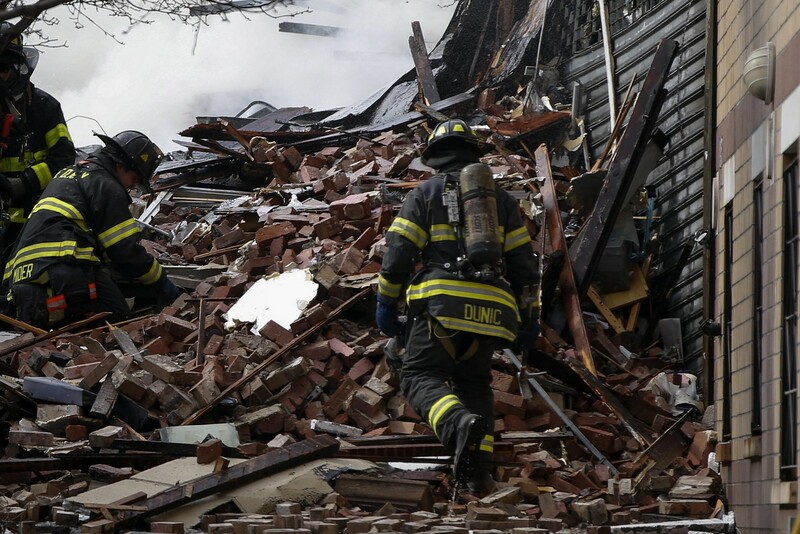 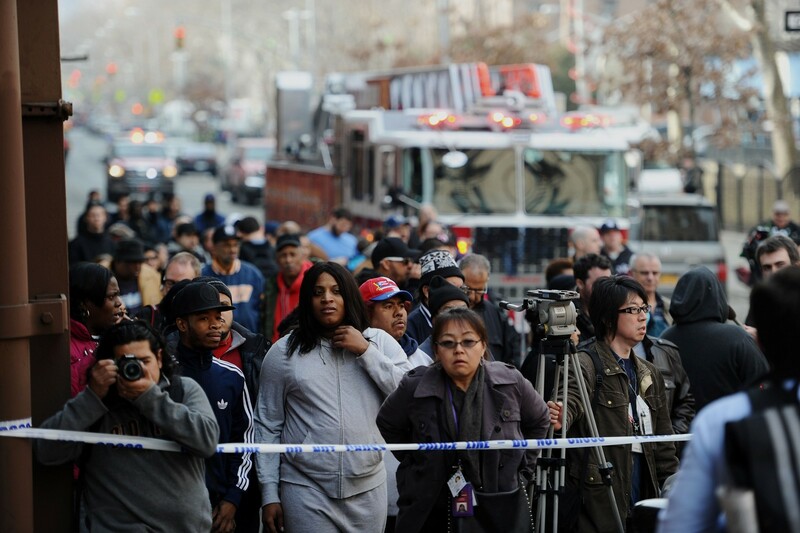 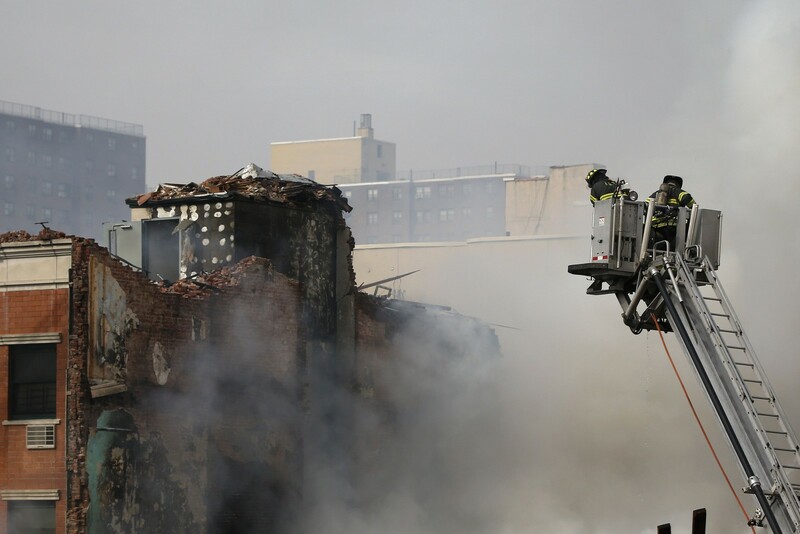 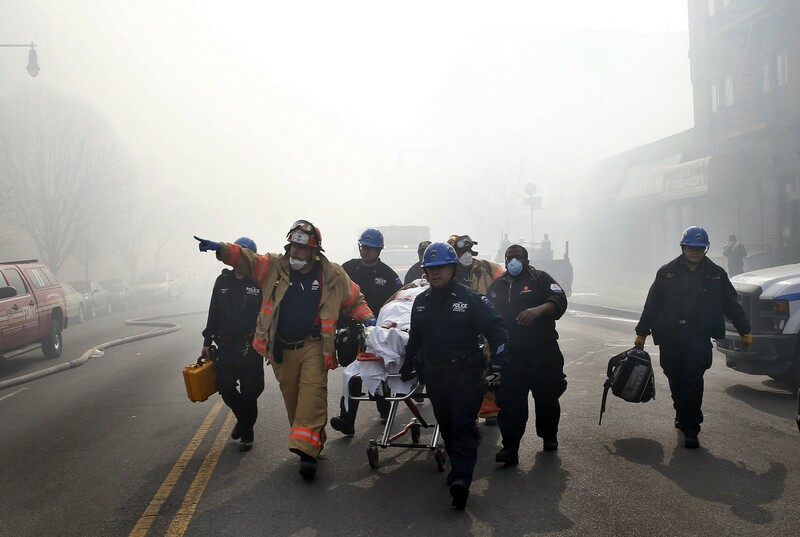 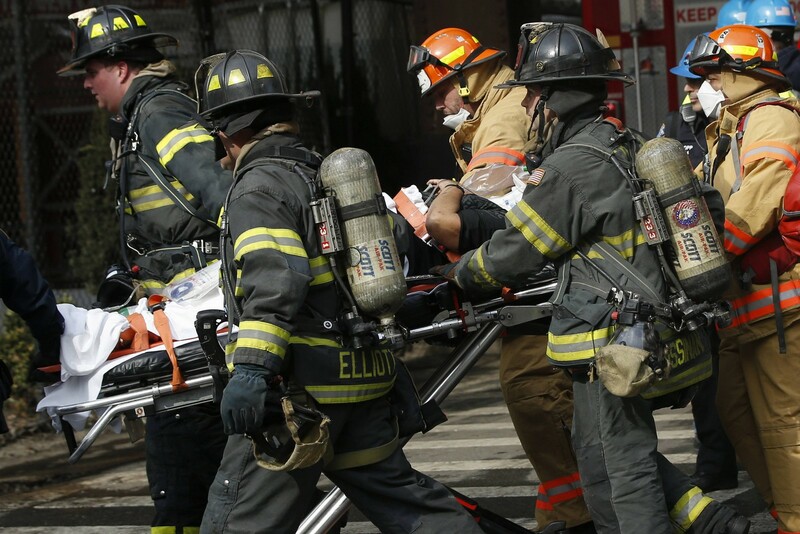 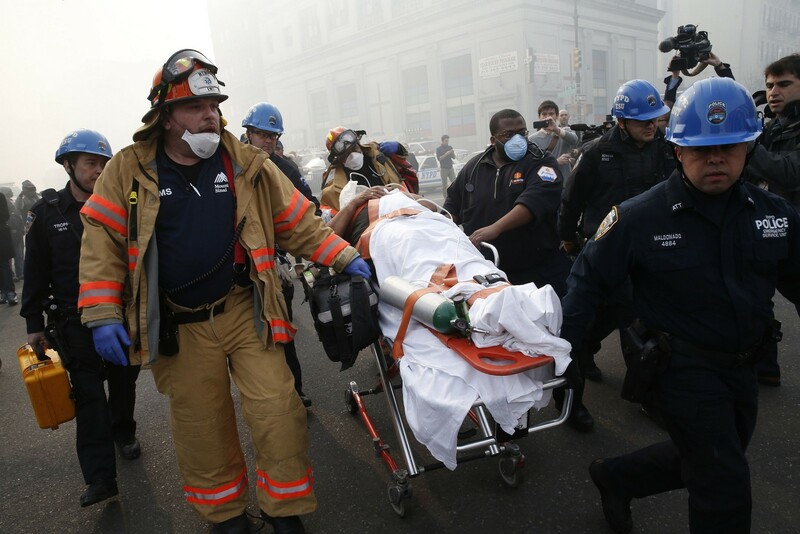 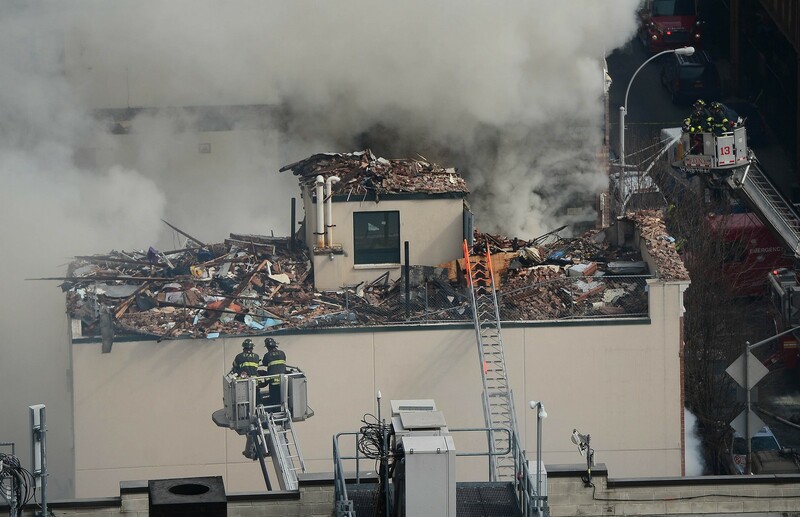 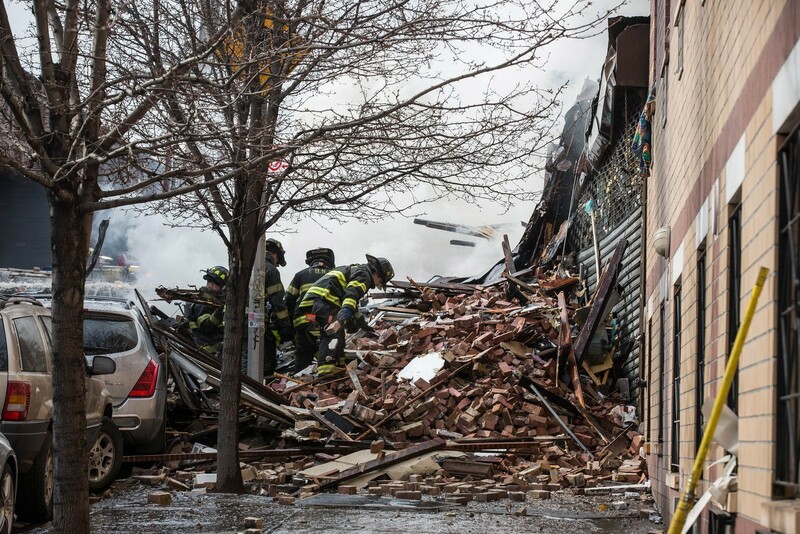 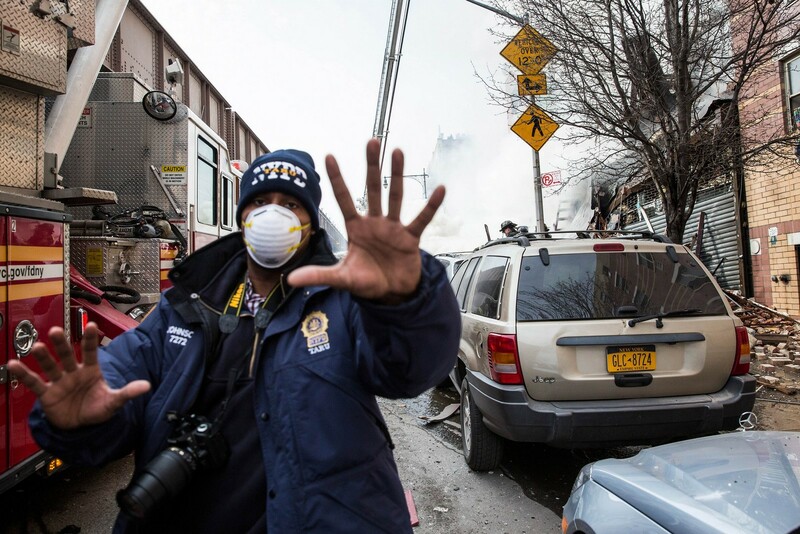 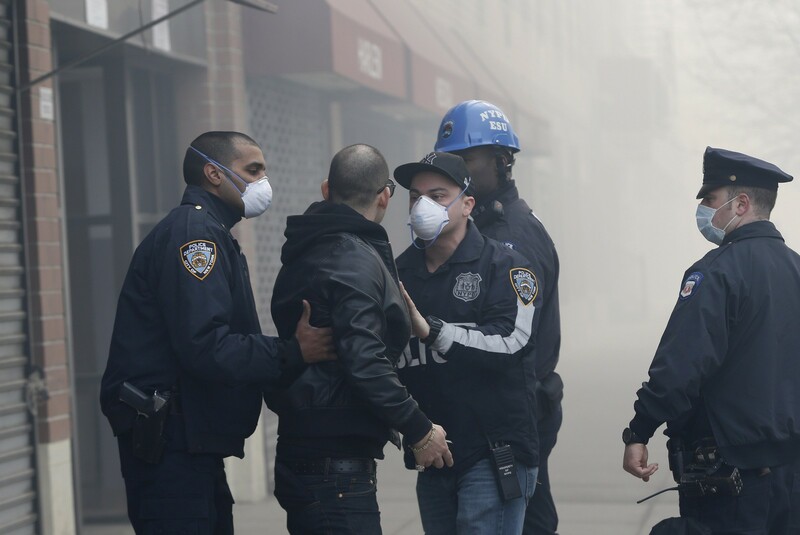 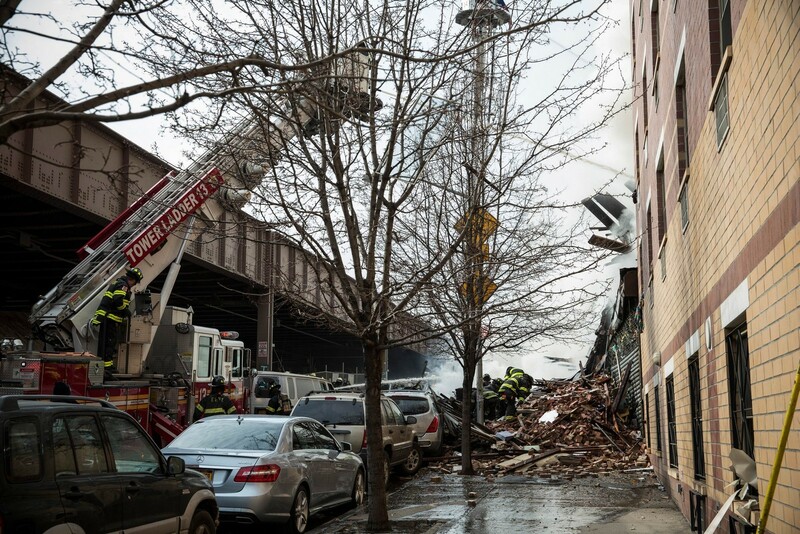 NEW YORK - Rescue workers Thursday looked for more bodies as they combed through the rubble of two Manhattan apartment buildings flattened by a thunderous gas explosion, killing at least six people. 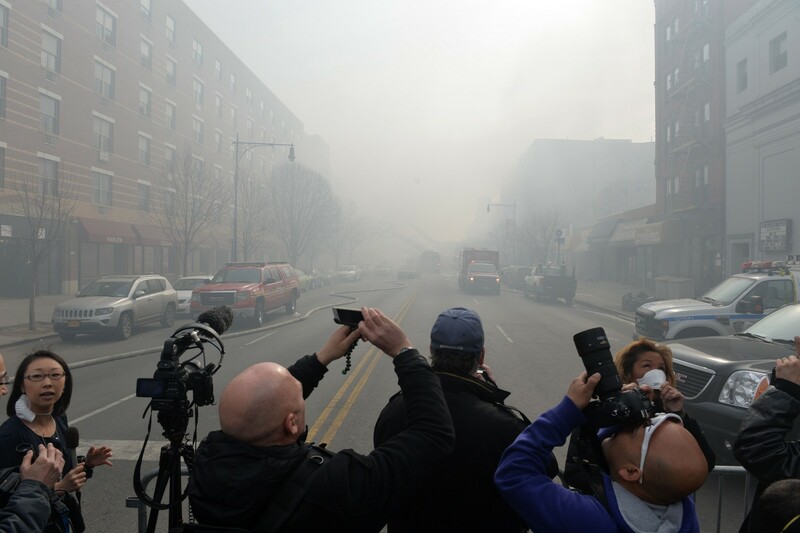 Fire Department spokesman Michael Parrella told AFP 31 people were confirmed injured and taken to hospital, although many others checked themselves in on their own. 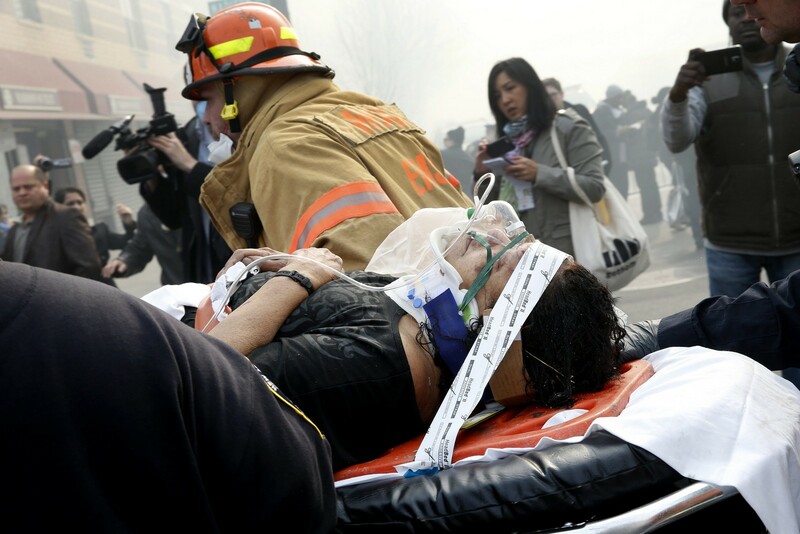 Hospital officials put the figure at 63. 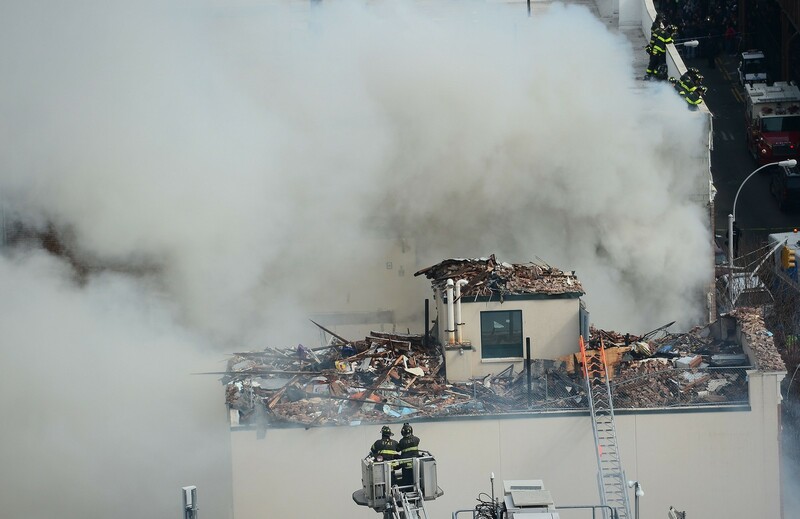 City Hall says another nine people were missing, although the fire department did not have a figure of its own, Parrella said. 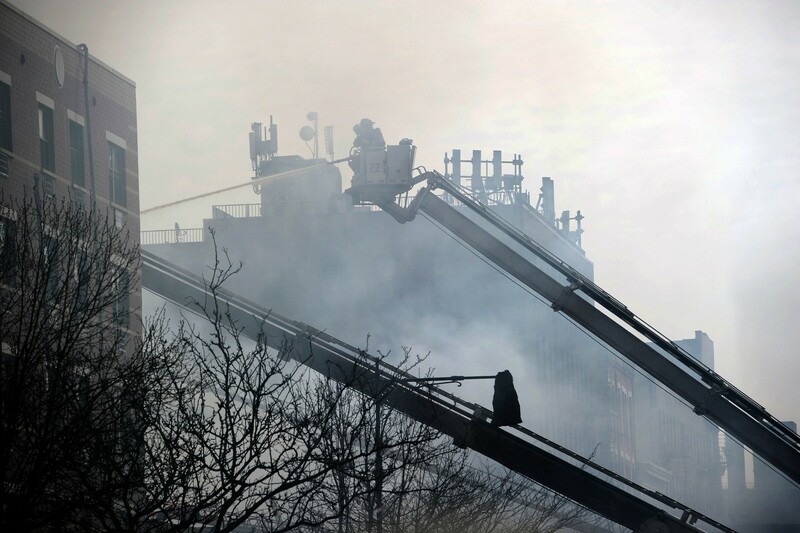 As dawn approached around 100 firefighters were on the scene, as well as police and emergency rescue teams, he said. 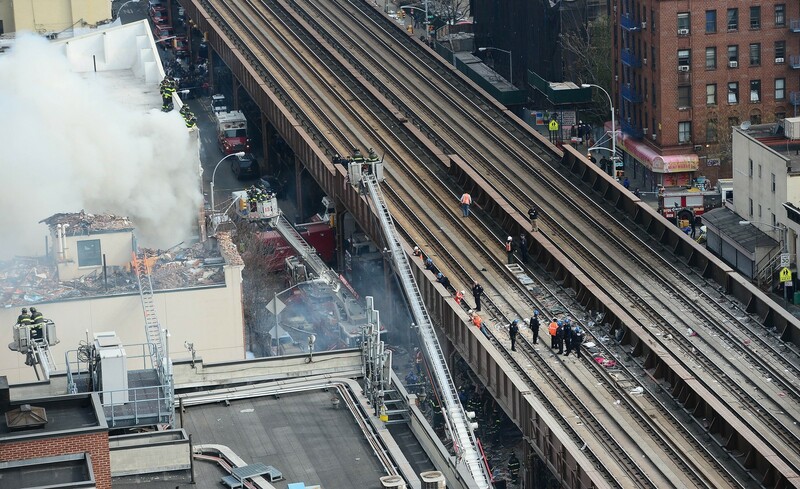 The disaster scene was one of utter devastation. 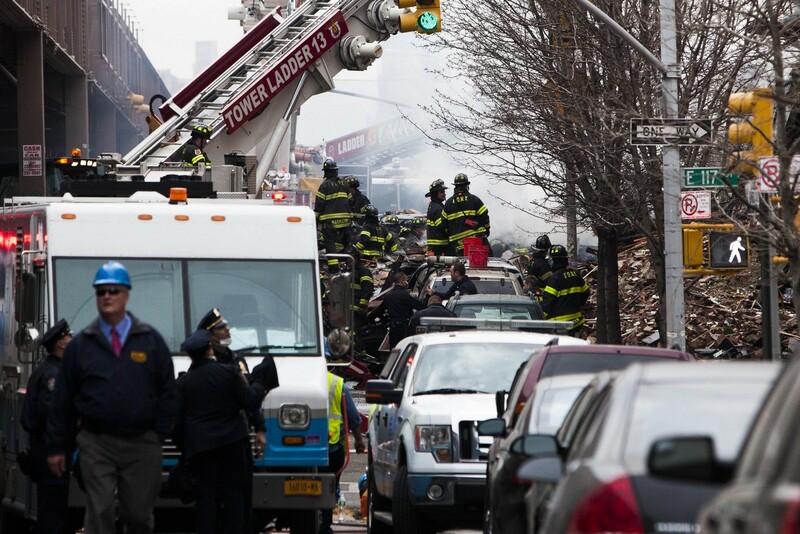 Witnesses compared the scene of twisted metal, thick white smoke and dusty rubble to a war zone. 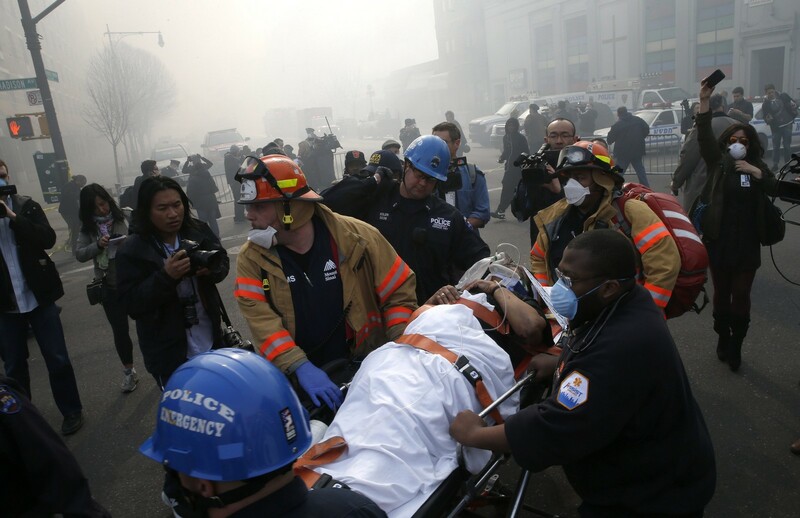 The explosion sparked inevitable reminders for some New Yorkers of the 9/11 terror attacks in 2001 that brought down the Twin Towers. 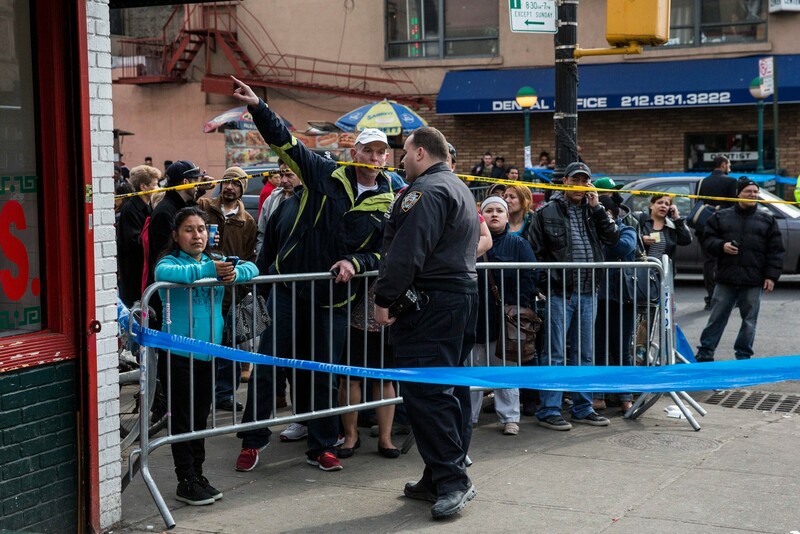 Other witnesses said it felt like an earthquake. 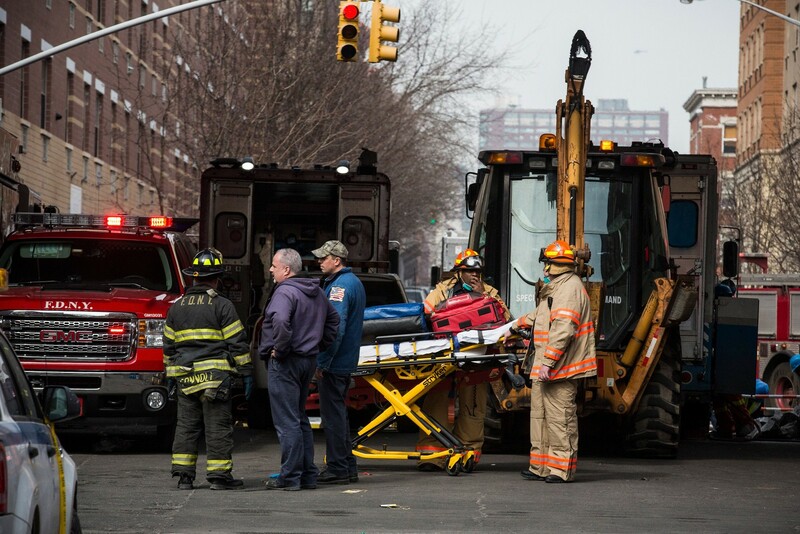 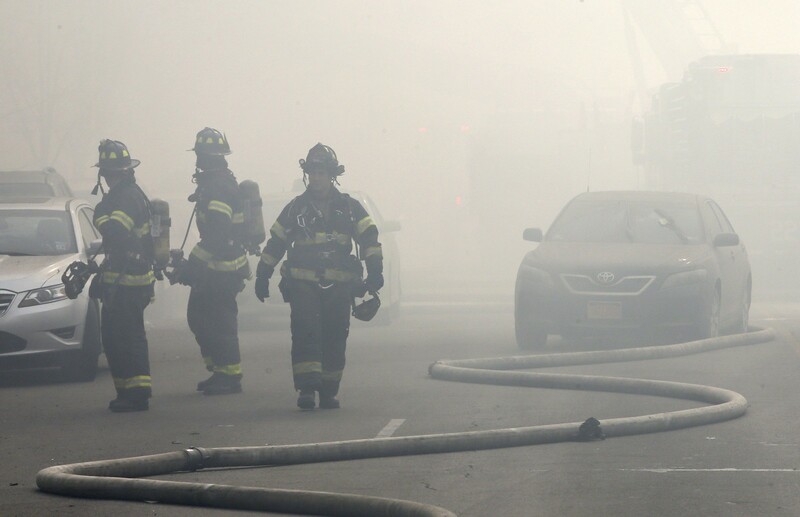 New York Mayor Bill de Blasio called the incident "a tragedy of the worst kind" because the smell of gas was detected "but there was no indication in time to save people." 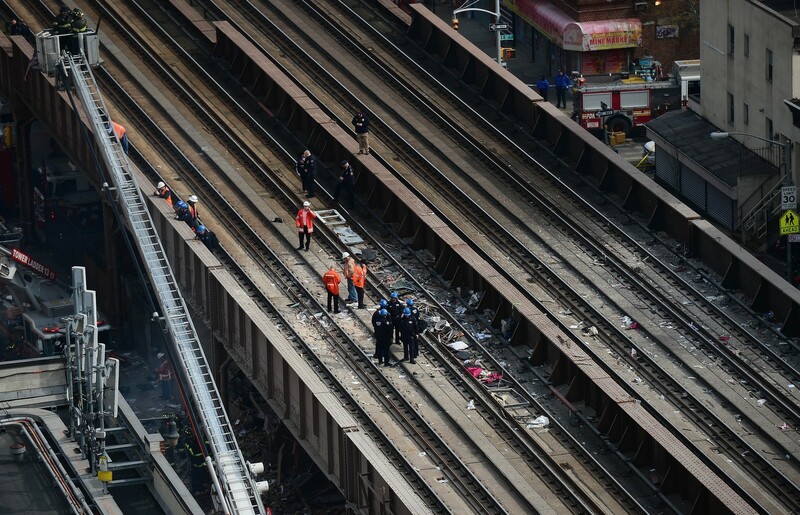 The death toll was described as likely to rise. 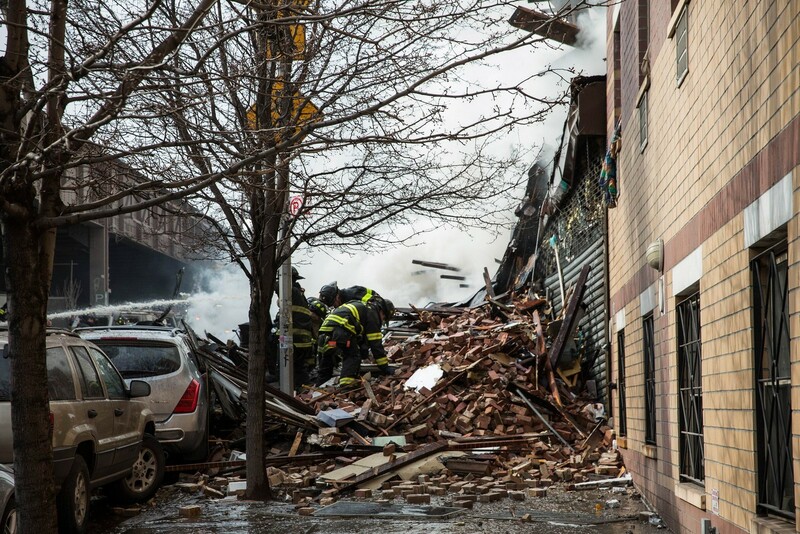 The latest three bodies recovered were pulled from the rubble overnight. 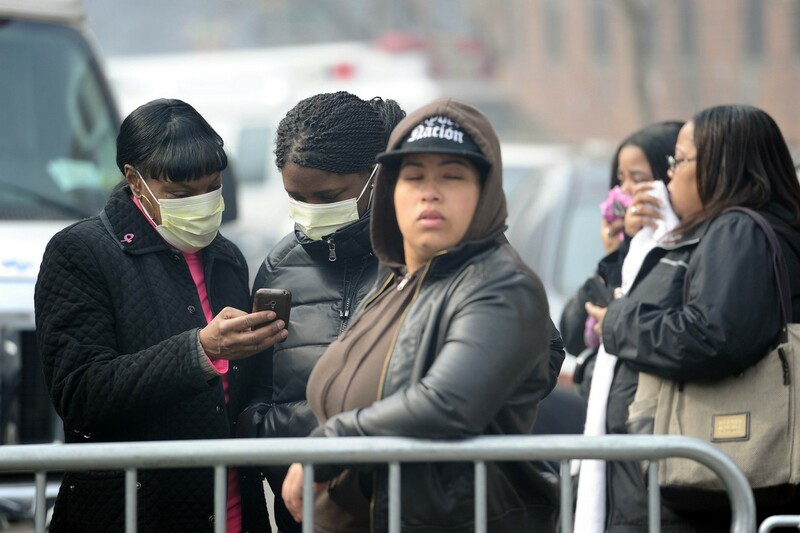 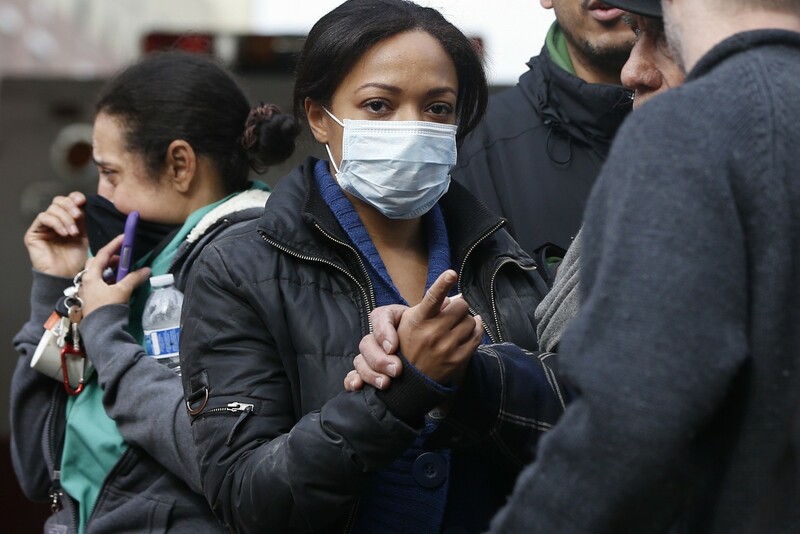 Jazzmen Arzuaga, 30, said she was at work at a hospital when her wife rang to tell her what had happened. 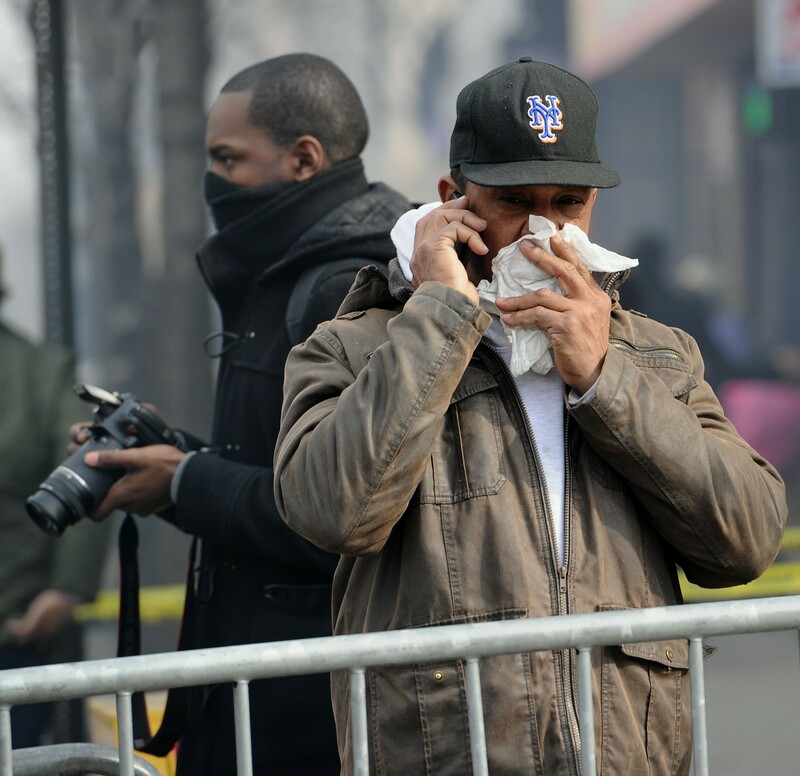 "She called me and told me 'Oh my God, you need to come home now, it's like World War II, people are dying, there was an explosion.' 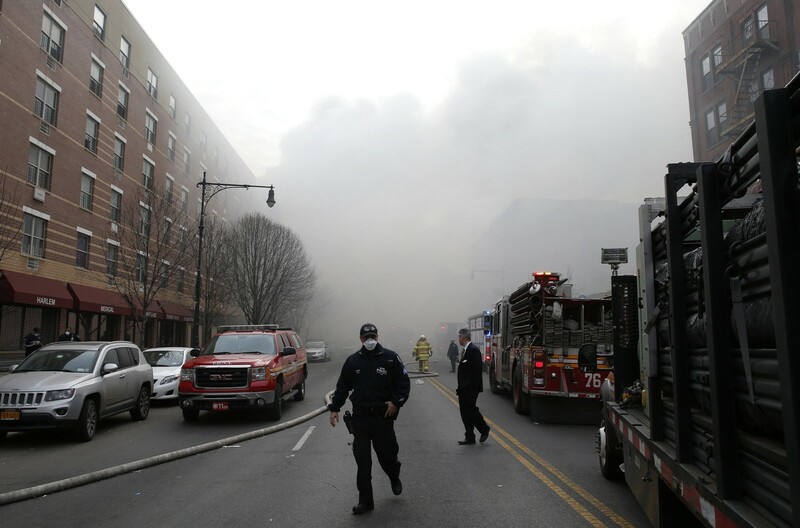 I just literally ran," she said. 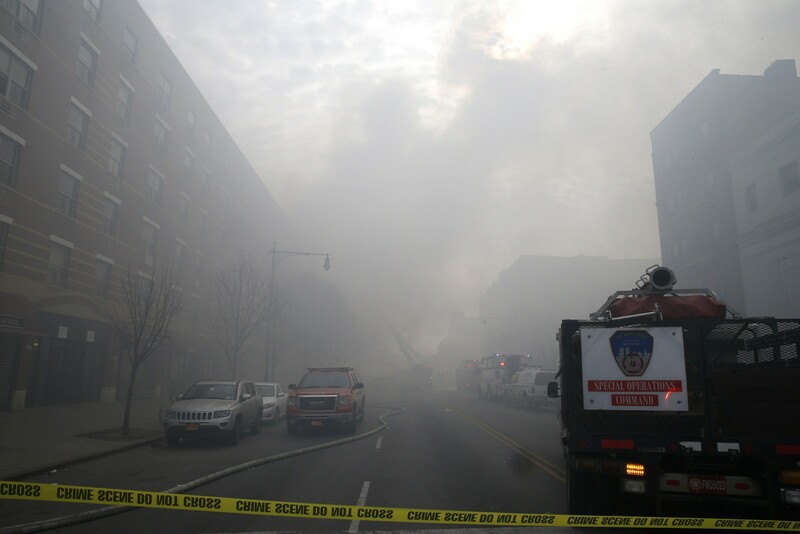 The couple live across the street from the blast site. 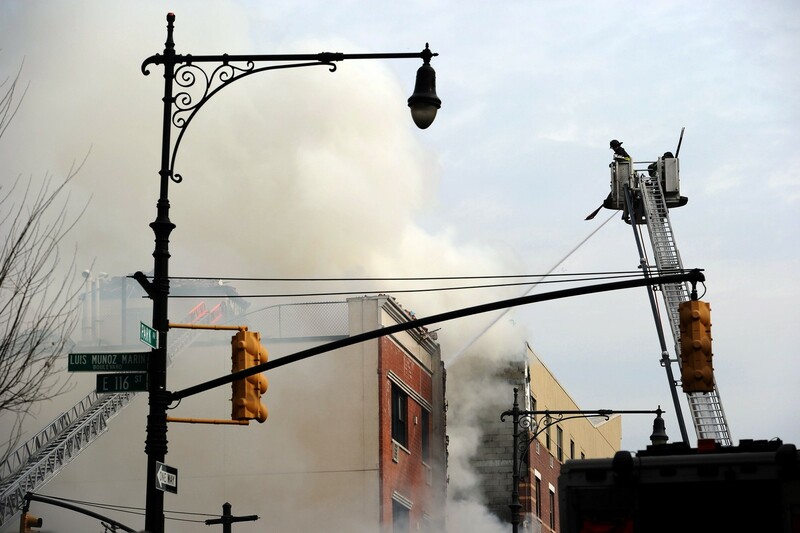 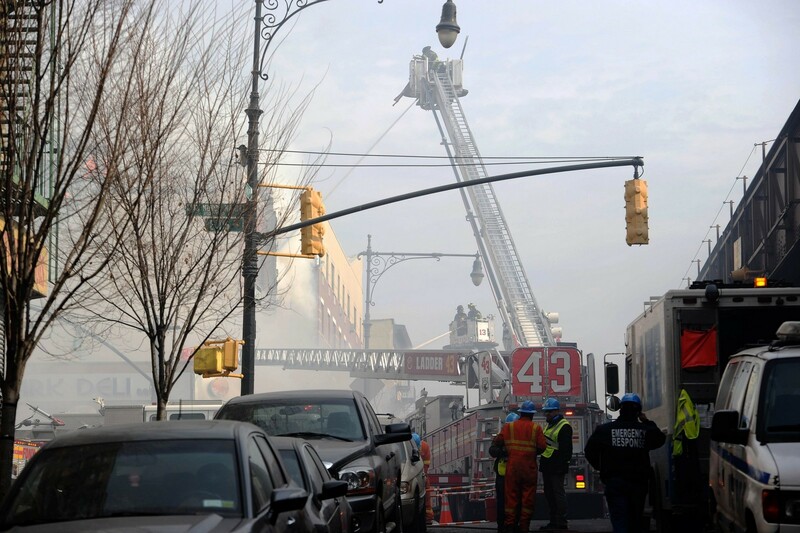 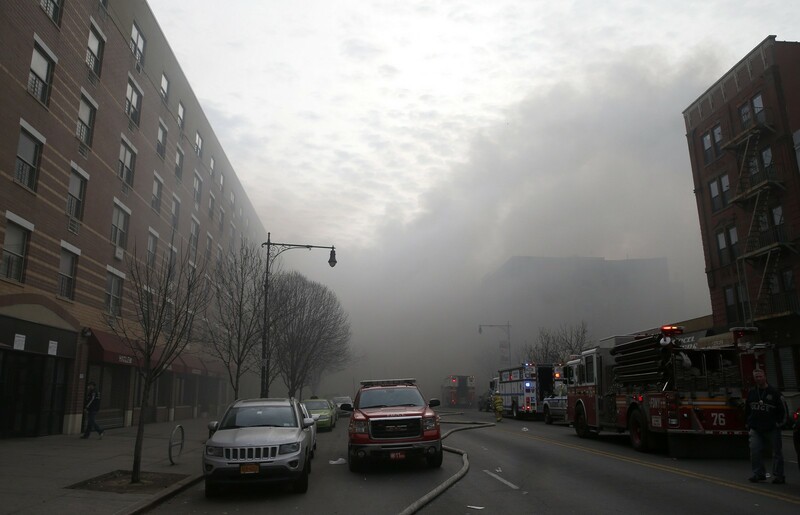 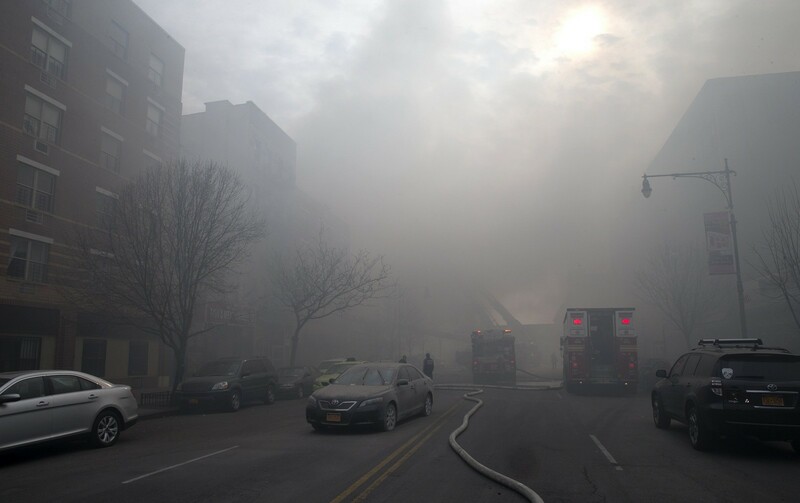 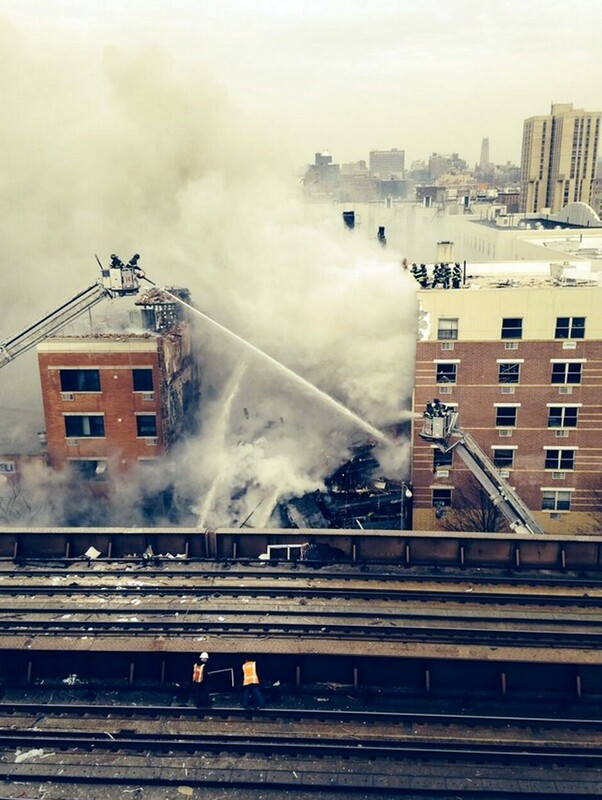 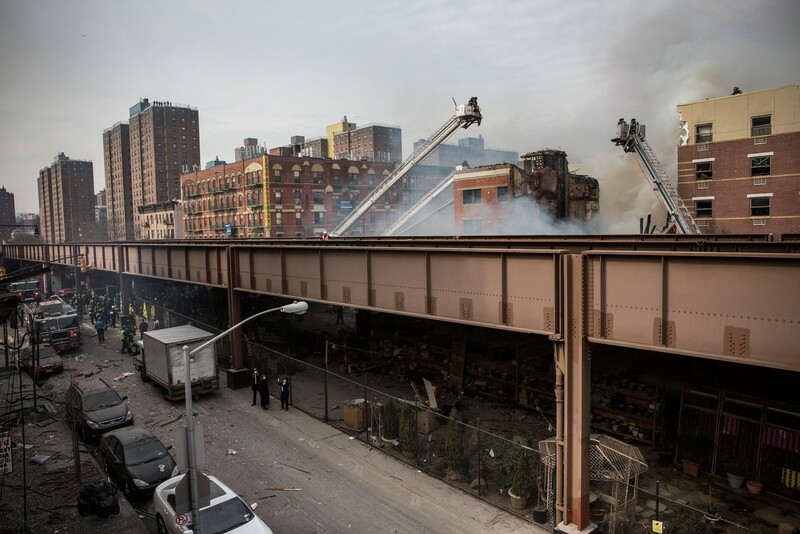 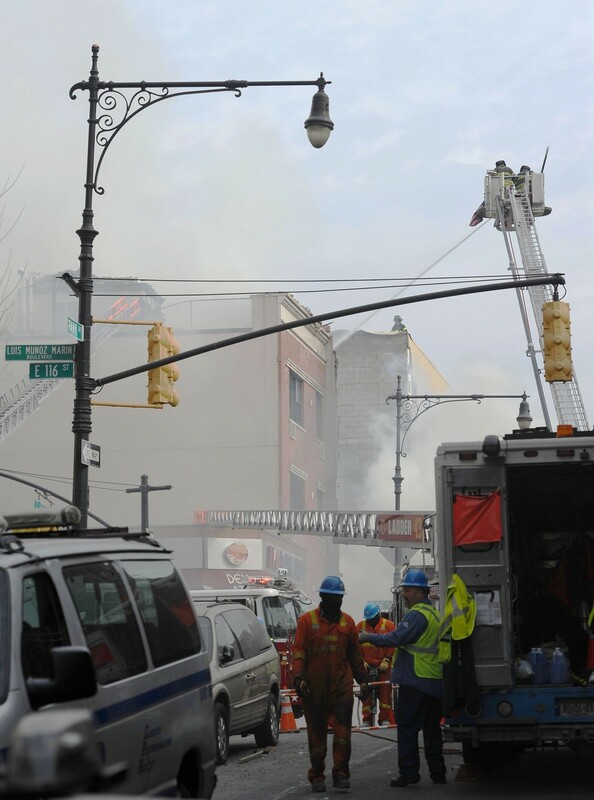 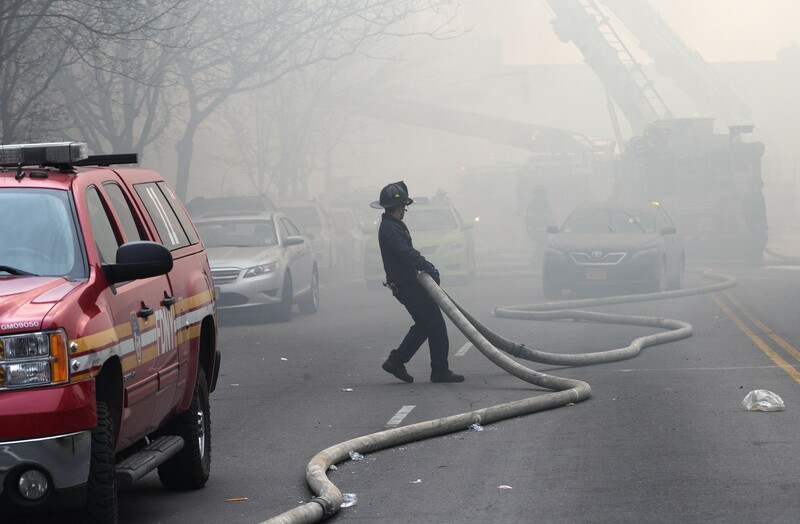 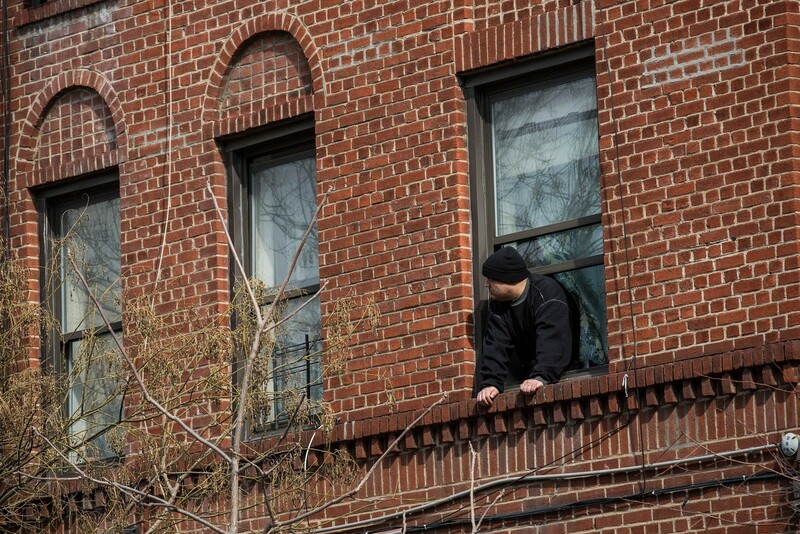 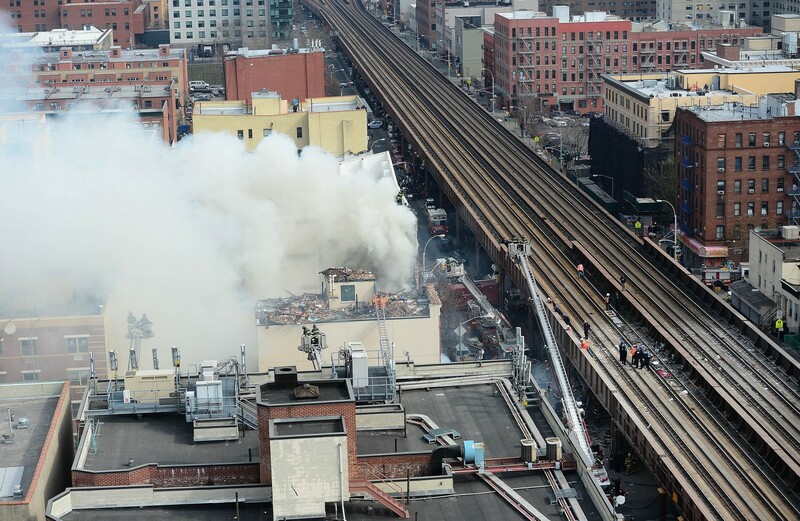 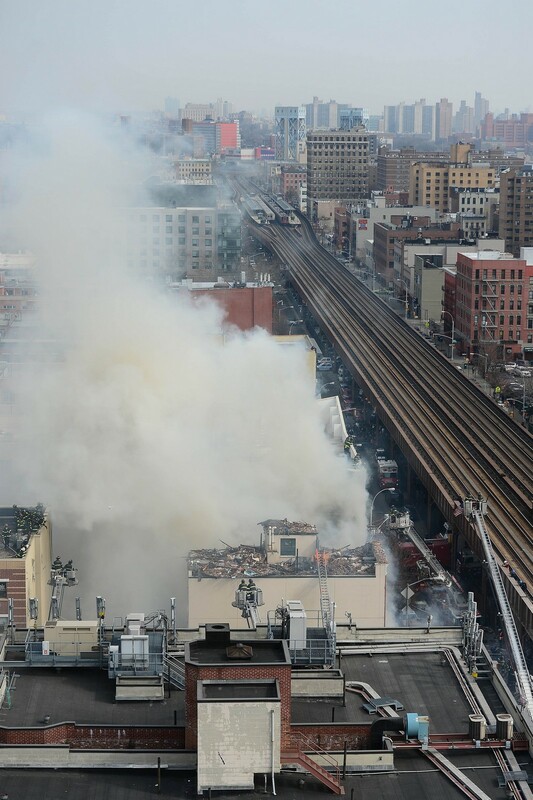 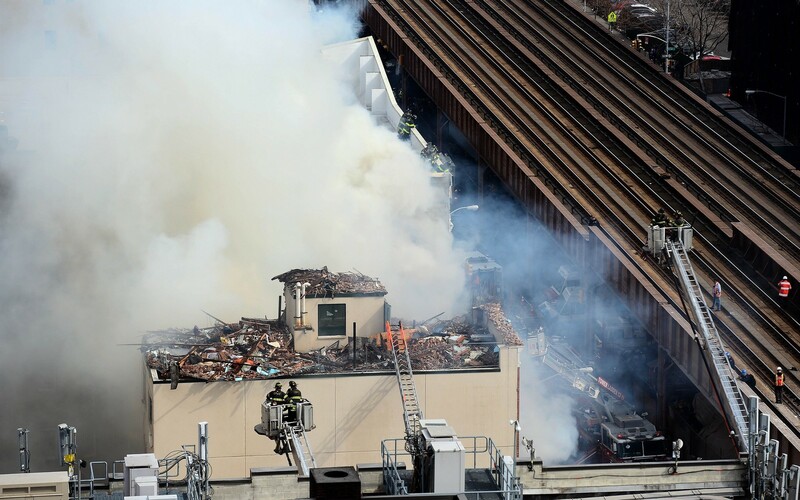 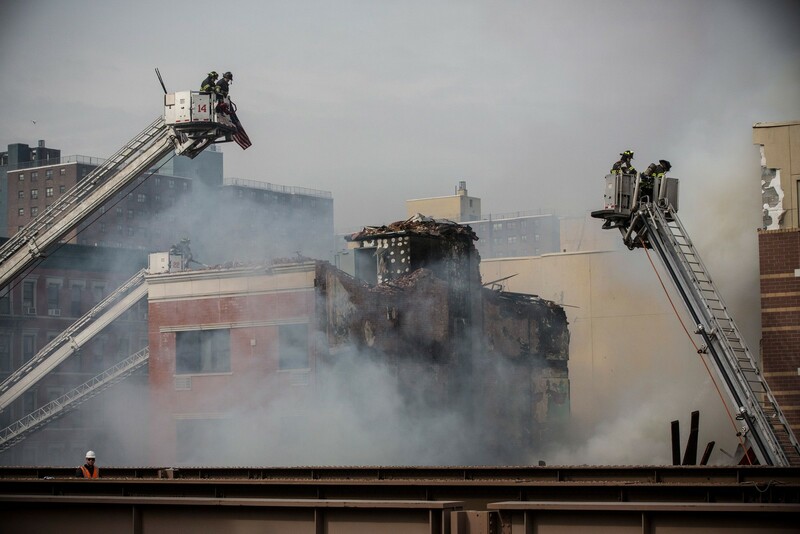 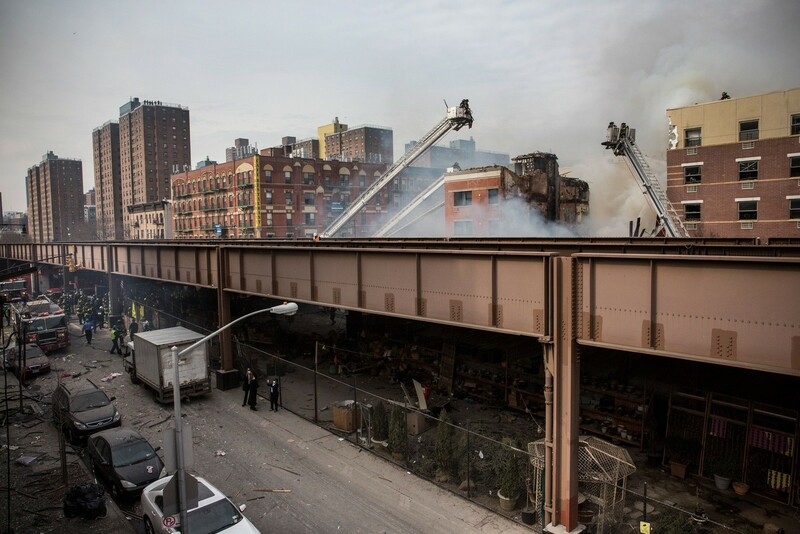 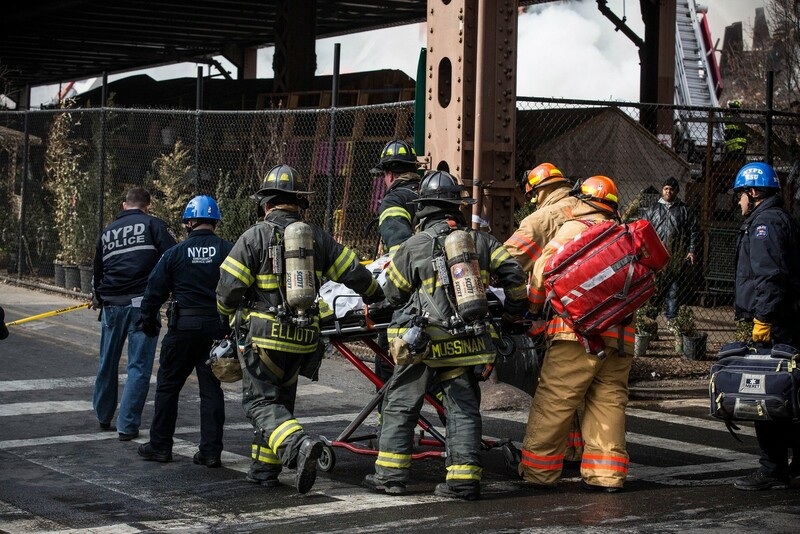 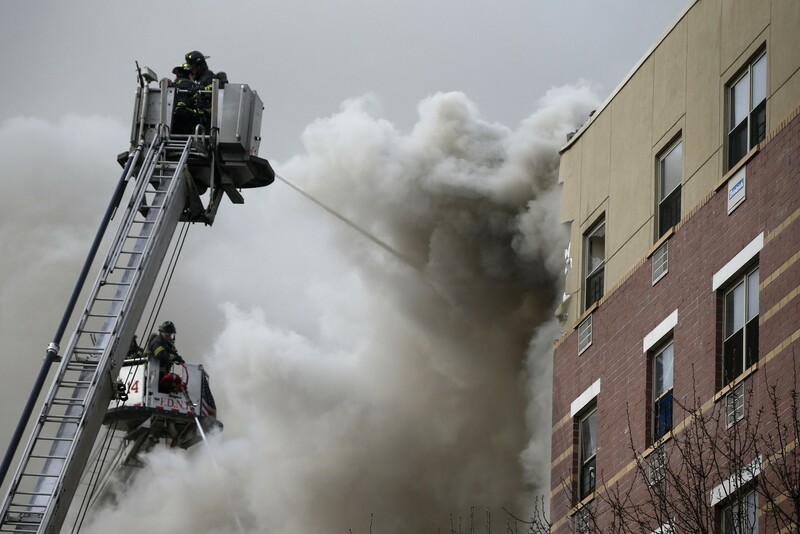 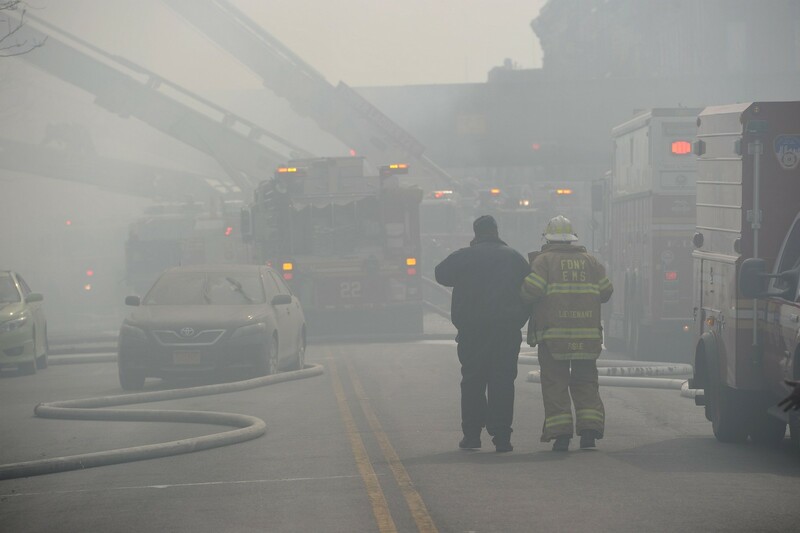 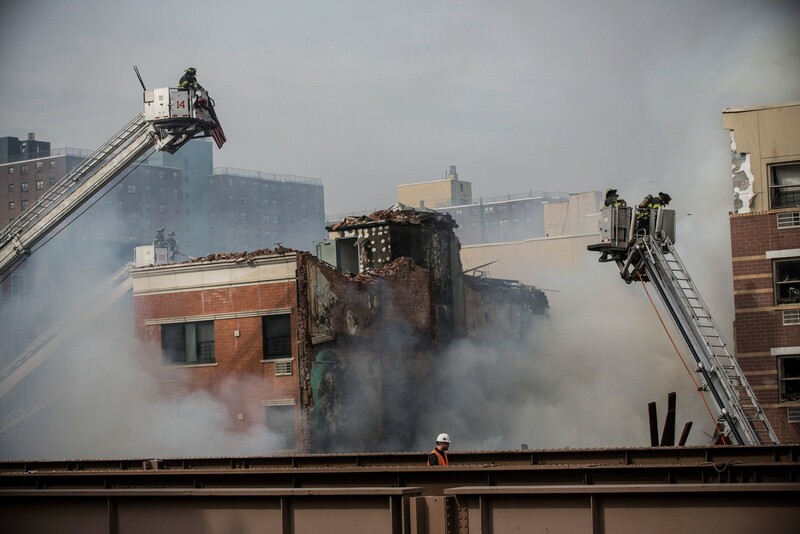 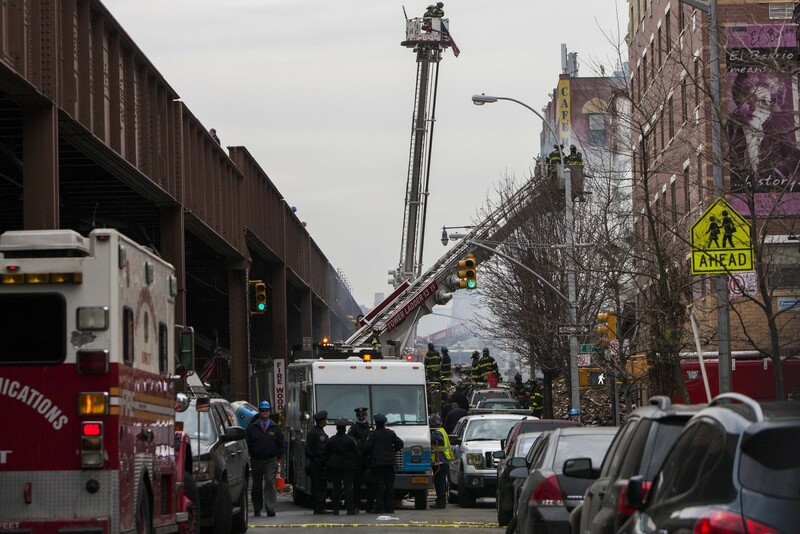 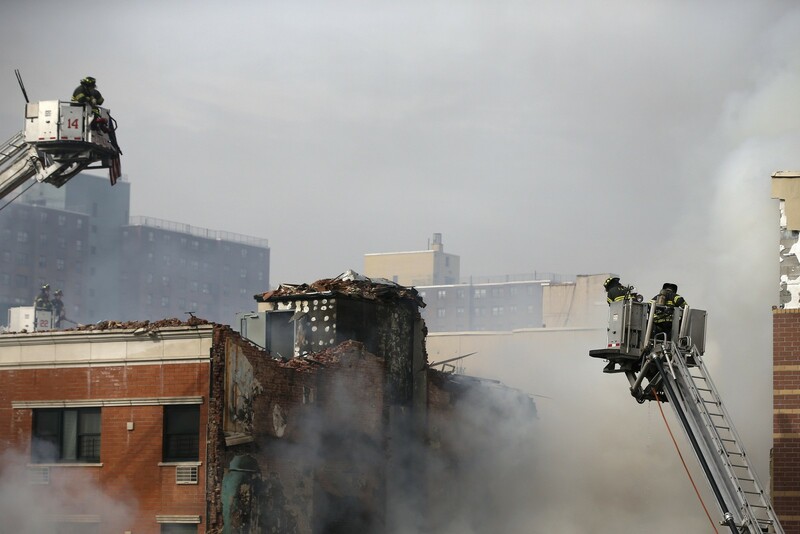 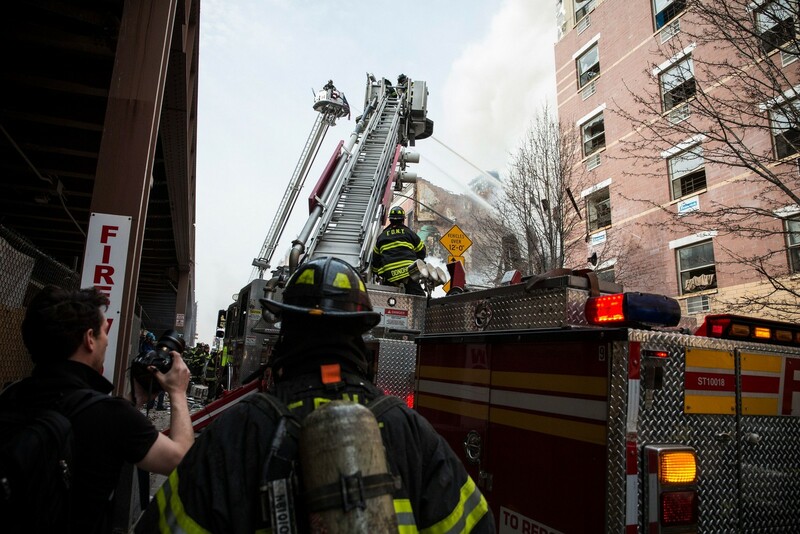 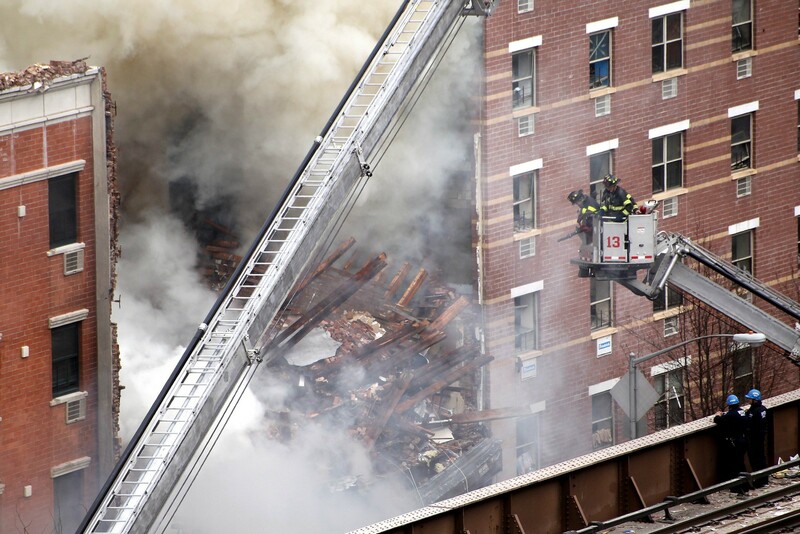 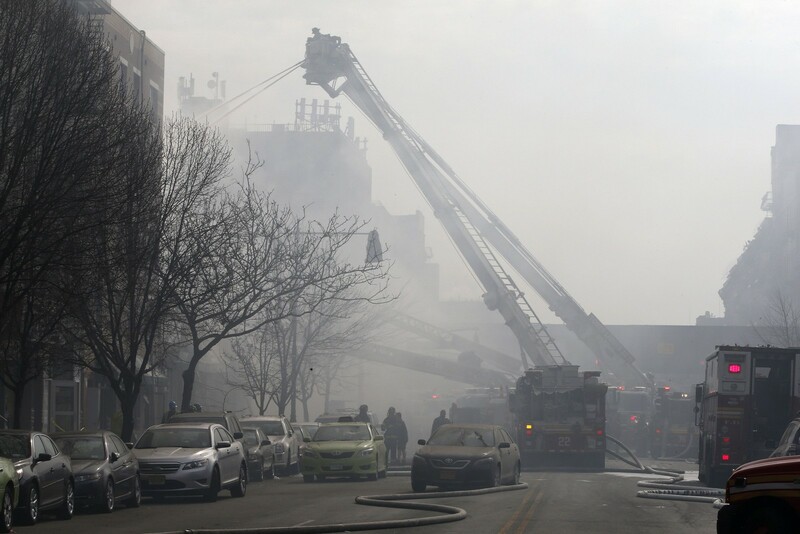 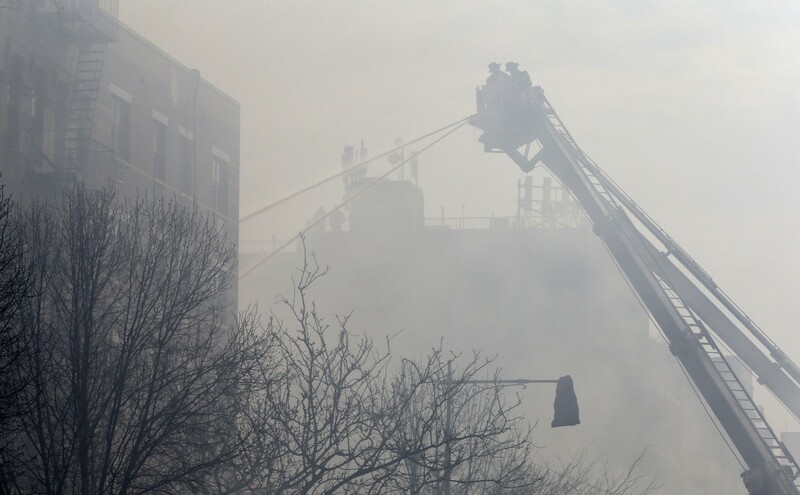 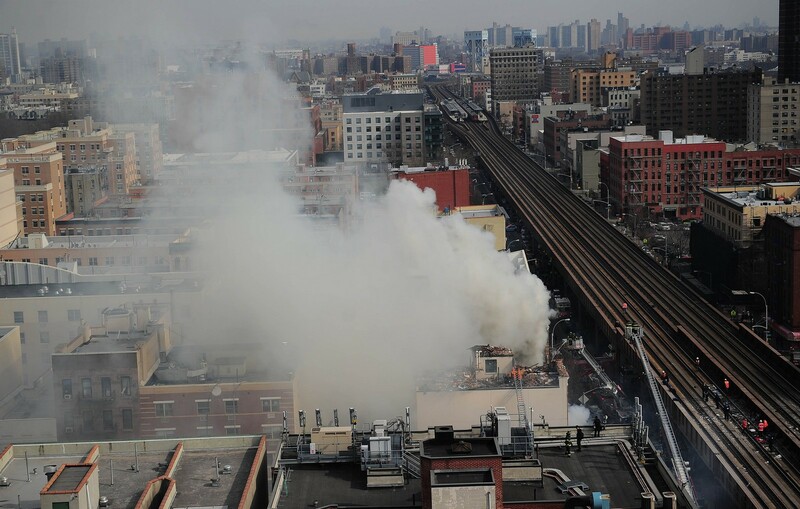 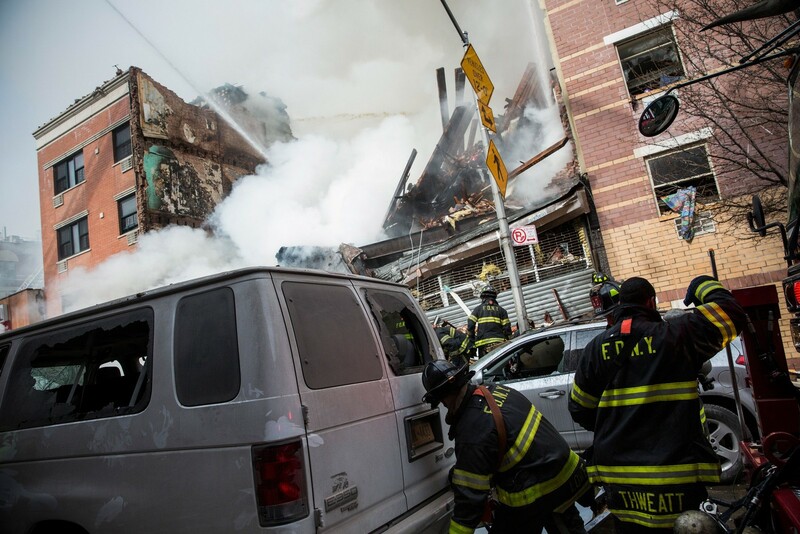 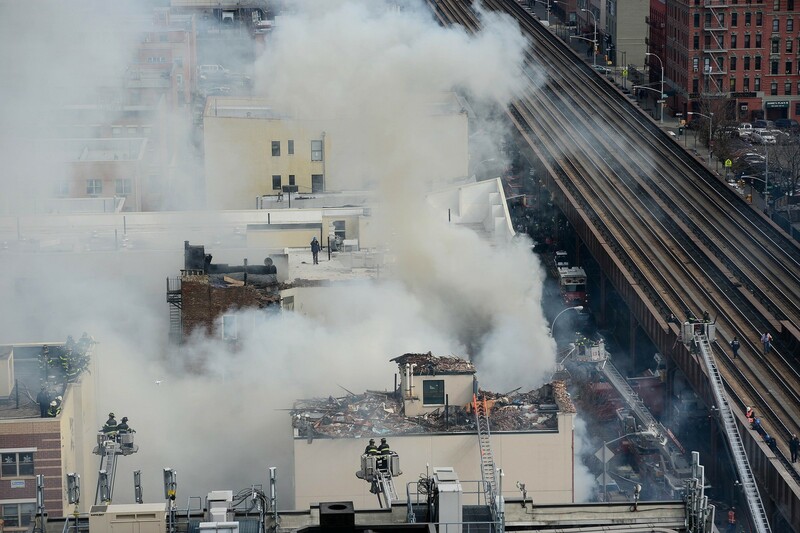 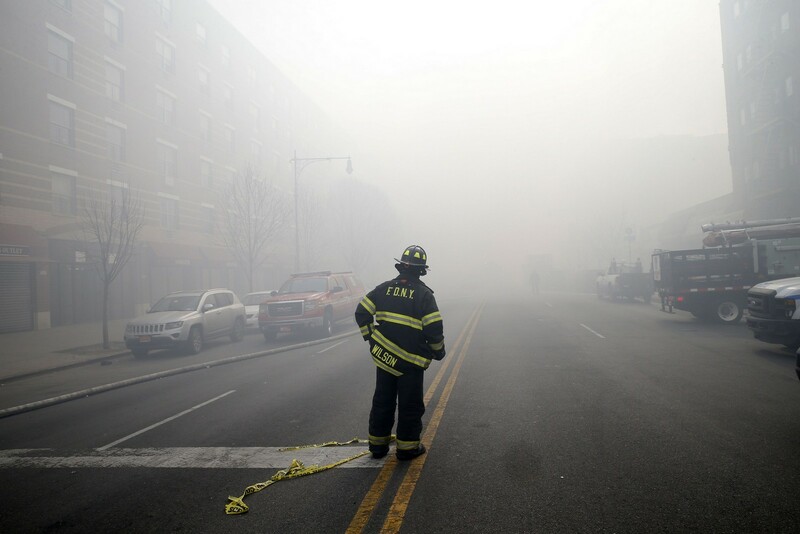 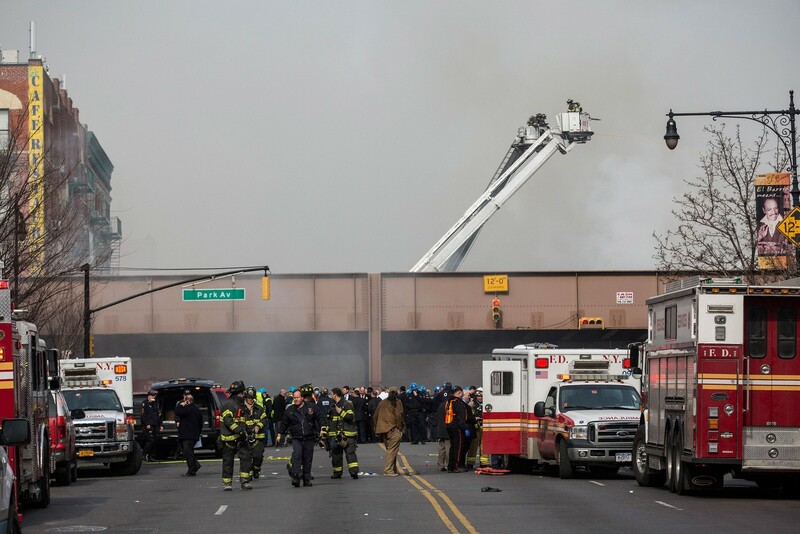 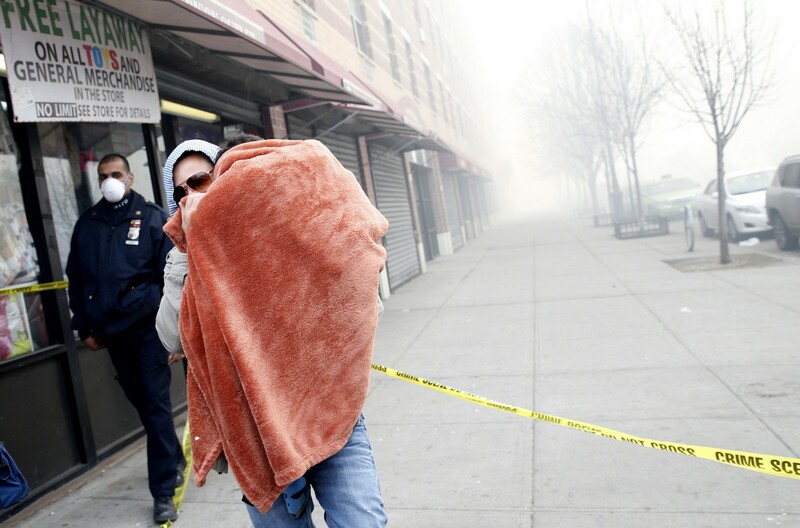 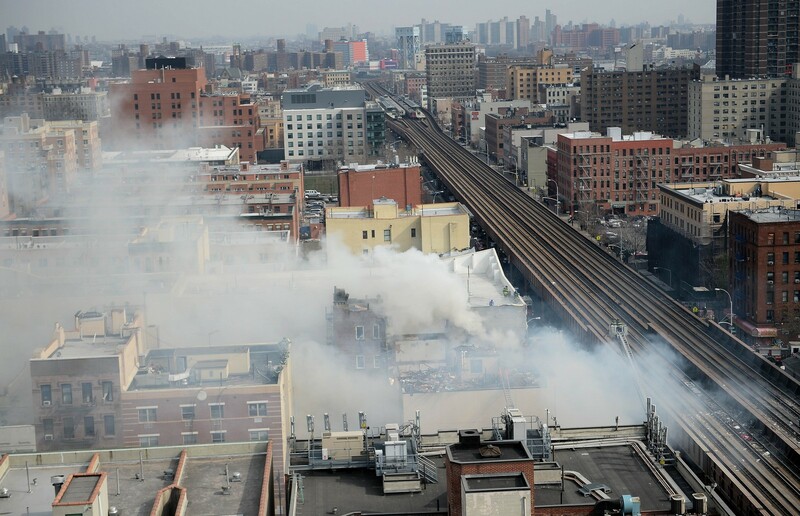 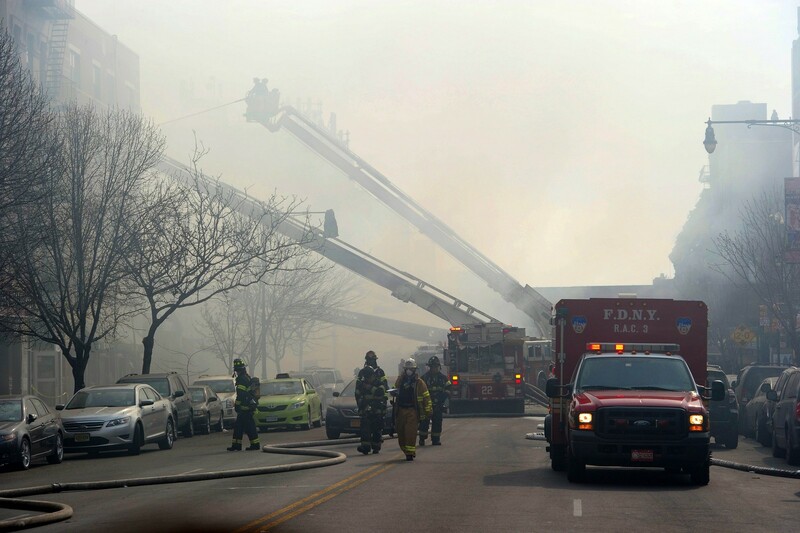 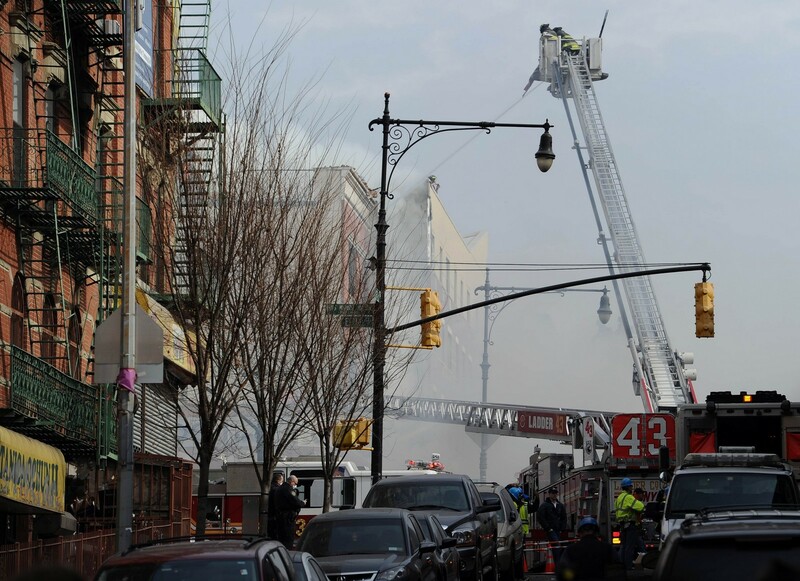 Firefighters battled throughout the afternoon to extinguish the heavy fire in East Harlem.